Nintendo recently released a new video teasing some more details about the return of the Nintendo World Championships. One of the major announcements to come from this video is the announcement of Splatoon as a competitive event. With two weeks of notable performance on Japanese sales charts (a rough environment with mobile gaming being so big there) and generally warm reception around the world, Splatoon is surely something Nintendo is proud of. It’s nice to see Nintendo testing the waters of competitive settings; as it stands, Nintendo seems quite respectful of the idea of competitive Pokémon (though operating with its own set of rules) so this year’s Championships should be of great interest to the company. The video detailed some additional interesting news: there are going to be eight Nintendo games that will be featured as events in the Championships, spanning both the old school and the new school. The full lineup is not yet known though, and it’ll be interesting to see which games are represented! The event series is taking place this coming Sunday: June 14th, 3:00 P.M. PDT. 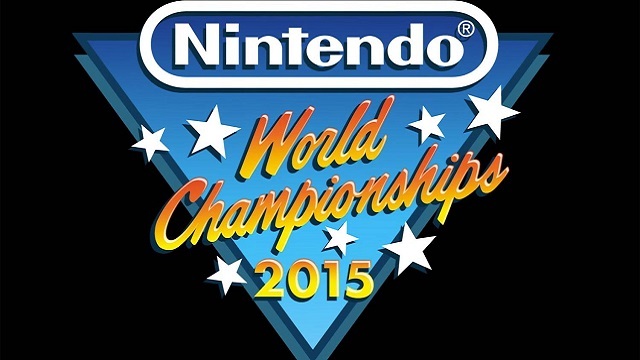 Nintendo World Championships 2015 will be streamed through YouTube, Twitch, and Nintendo’s E3 page. It will feature a selection of gaming community personalities (some of which should be familiar to you) alongside qualifying competitors from participants in preliminary rounds that took place at select Best Buy locations. Kevin Pereira, whom you may know for his work with G4, will be hosting. Check out the video below to recap.